Patric Marks was born March 12 1936 in Junagadh, India. A wealthy state with an abundance of princely and sacred sites. Patric was the son of a Catholic family of Indian and European descent and was reared in a western manner. As he always said when he gave lecture demonstrations, "My name is Patric Marks. I am a Christian, my teacher was a Muslim and I am going to play a Hindu raga, and this is what India and Indian music is." As a small boy he attended a Catholic boarding school called St. Mary's, where he took his first formal music lessons on the piano. About this time he heard his first sitar recital which was a life changing event for him. Having been brought up in the western tradition he realized that he knew very little about the culture which surrounded him. He then decided that he was going to pursue Indian music much to the chagrin of his father. 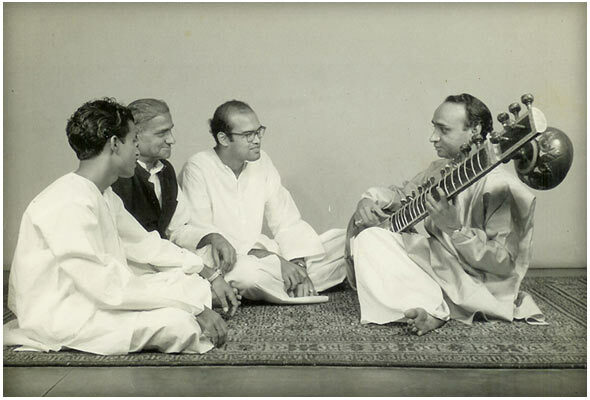 When Patric became a teenager he went to live with his guru Ghulam Hussain Khan, cousin of Ustad Vilayat Khan. 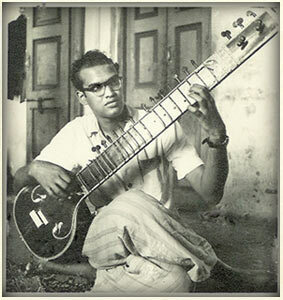 By now his parents had disowned him so Patric lived and studied sitar under the guidance of of his guru for 11 years. 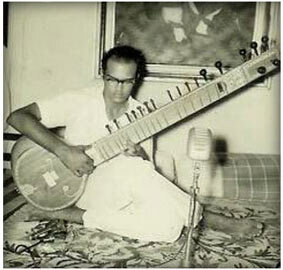 Later he was accepted as a "Shagirdh" or disciple of "Indore Gharana" also known as: Indore Binkar Gharana. 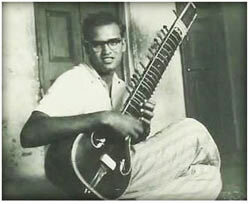 He also went on to study sitar with his teacher, Mr. Vasanrow Tendulker. 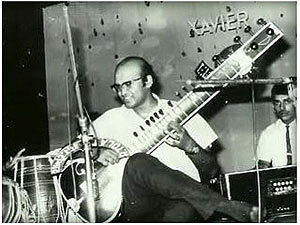 In 1965 Patric and Mr. Kirtiker Thaker studied tabla with the great master Ustad Allarakh Sab ( Ustad Zakir Hussein's father) Mr Thaker became Patric's earliest tabla accompanist. Patric went on received a Ph.D. in music from Akhil Bharatya Ghandharava University. 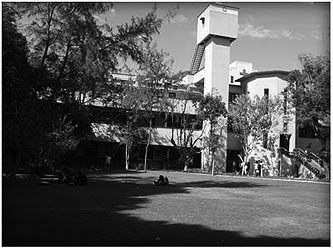 For a time he was director of music and cultural activities at St. Xavier's College in Ahmadabad, India from 1965 to 1969. He established the Hansa Dhwani School of Indian classical music in Ahmadabad and formed a musical group which went on to perform under his name. Among other things he also arranged and orchestrated for over a dozen films. As Patric's fame and fortune started to grow he was once again able to establish a relationship with his parents. But alas it was short lived, Patric married a Hindu and was disowned again. The Catholic Church eventually recognized the marriage so he was finally able to truly reconcile with his family. In 1973 Patric's wife Hansa was stricken with cancer requiring him to start his career anew. He came to the United States seeking treatment for his wife who only had six months to live. She survived and led a fairly normal life until 1981. Patric settled in the Chicago area where he gradually built a second career. 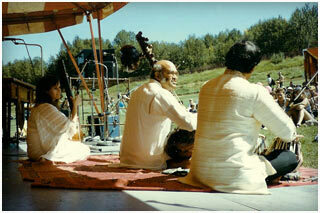 The Indian Music Ensemble was started under his direction. He composed music for modern dance and worked with musical groups in Canada and the US. Patric taught sitar to students numbering in the hundreds from Illinois, Indiana and Wisconsin. His personal life also took a turn for the better when he married Dr. Margaret Otto in 1983. Mr. Patric Marks has devoted his entire life to the promotion and appreciation of true classical Indian music, for which many of us here are eternally grateful. Institute of Yoga Science and Philosophy in Glenview, Illinois.